Do you remember where you were when it happened? 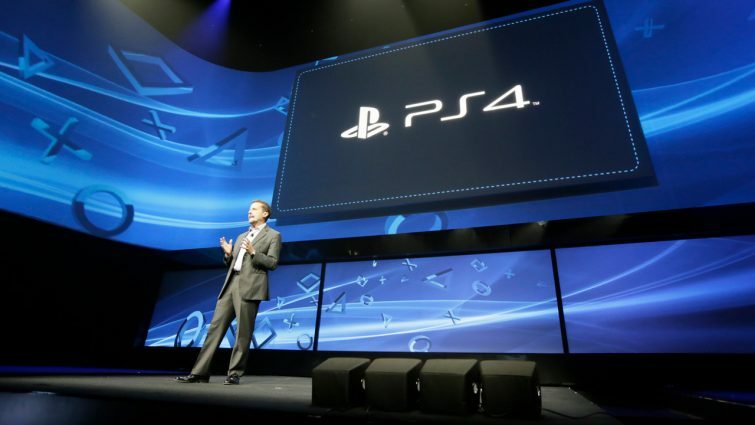 When the PlayStation 4 was first announced to the world five years ago? Yes, it really was five years ago. Yes, you are getting old. Yes, so am I. To be completely honest I actually don’t remember where I was when the console was announced on February 20 2013. It certainly wasn’t at the official event in the Hammerstein Ballroom in New York City. What I do remember was the outrage that the console itself wasn’t actually shown across the two hour presentation. In the end, though, that didn’t matter at all. What followed was almost half a year of hype and some pretty iconic jabs between Sony and Microsoft (remember that used games announcement at E3? Enough shade for an ice age). After struggling against the Xbox 360 in the earlier days of the previous generation of consoles, Sony had it all to play for with the PS4 and you could kind of tell this was understood in the run up to the announcement of the console. If we’ve learned anything over the last five years it’s that nostalgia is a powerful thing and in the run up to the PS4 announcement, Sony somehow managed to cleanse any lingering negative thoughts towards the PlayStation brand with three misty-eyed Evolution of PlayStation videos. They went over this history of the consoles and the games they offered and, more than ever, the future seemed exciting for PlayStation fans. It just shows that even before its very first reveal, Sony was putting a lot of thought into the messaging of the PS4. At the reveal itself, the focus was on the console’s power, the development studio’s supporting it and the games it was going to bring to the table. It could have been one of the ugliest consoles in the world and I think it’s possible it would still have hit that one million orders in 24 hours milestone. It’s odd that five years can feel simultaneously a long time and not a long time at all. While it feels like the console’s announcement could have been only a week ago, it’s incredible to think that in only five years we’ve seen dozens of fantastic exclusives, the release of the Slim and Pro models, and even a PlayStation virtual reality headset. While the PS4 got off to a slow and safe start in terms of software (those PS3 remasters were certainly plentiful) it’s really picked up the pace in recent years. Looking from the very beginning to now, it’s easy to see how the console has become the leading seller of this generation. Now Sony has gone from the hardware developer looking to gain to the developer with everything to lose. The question is, what comes next? Despite the fact that we’re now five years into the PlayStation 4’s life, the time just doesn’t seem right to move onto the PlayStation 5 right now. This feels like a generation that’s just about to reach its peak. All things considered, we’re still waiting for a lot of great developers, Rockstar and CD Projekt for example, to make their first titles dedicated to this new generation. The 4K PlayStation 4 Pro should certainly keep things floating along nicely in terms of tech and we know we have so many fantastic games we’re still waiting to play. But as Sony reminisces on the five year anniversary of the launch of the PS4 on its official blog, there’s a question in our minds as to whether the nostalgia build-up is starting all over again. This entire year is a chance to look back on the five years since the road to the release of the PS4. In November 2018 we’ll be looking at five years since its official release, making for a pretty great segue into some more Evolution of PlayStation videos in February 2019. With nearly 50% of US homes expected to have 4K TVs by 2020, late 2019 to early 2020 wouldn’t be a bad time at all to launch the latest and greatest in 4K-capable consoles. Perhaps we’re looking to much into it but we know a PlayStation 5 is coming eventually. Maybe the build up is starting now.